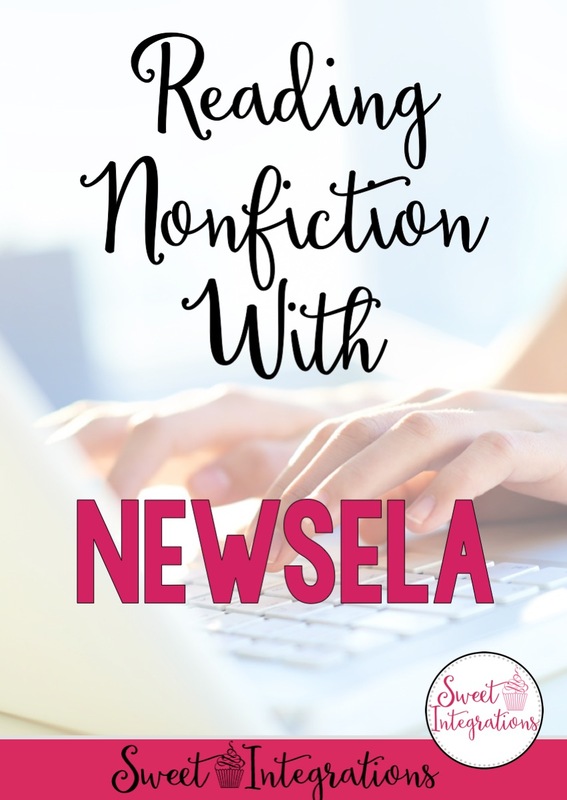 If you're looking for high-interest nonfiction text for your students, I highly recommend the website or app Newsela. 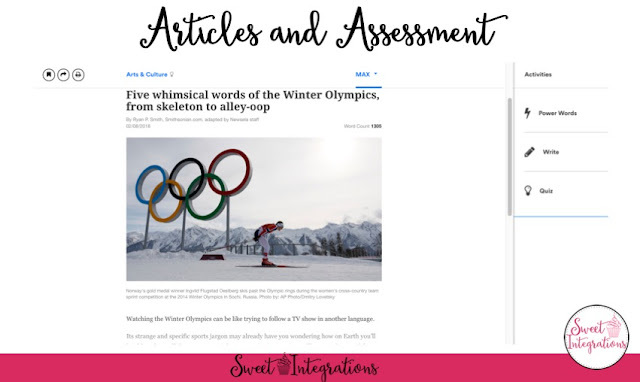 Teachers can use Newsela for reading intervention and differentiation with the range of reading levels for each article. 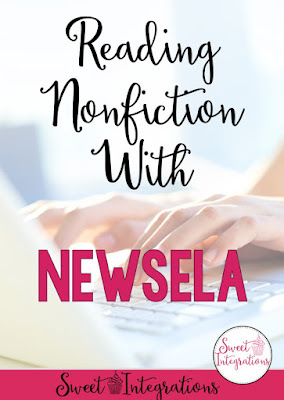 So, why waste your time on searching for articles and reading passages when your students can read engaging nonfiction text with Newsela. 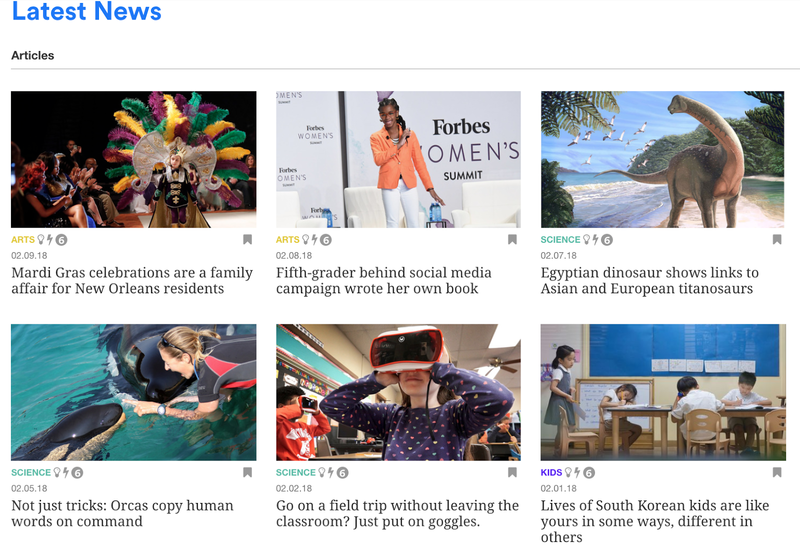 Nonfiction text with Newsela content is updated daily so your students are reading current information. It's cross-curricular content is perfect for learning about all subject areas. You can assign articles to individual students, groups, or to the whole class. Students will no longer feel singled out because you can adjust the reading level while they read the same article. Then, you can assess your students according to their level. Are you looking for articles on endangered animals? Black history? The Winter Games? 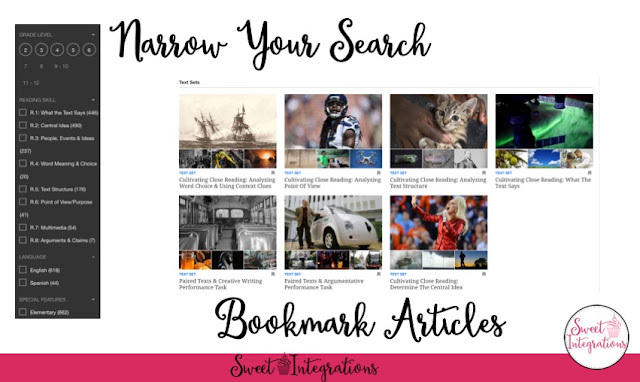 You can find articles by curriculum headings, featured text, or just through a general search. It's so easy to find articles for your needs. 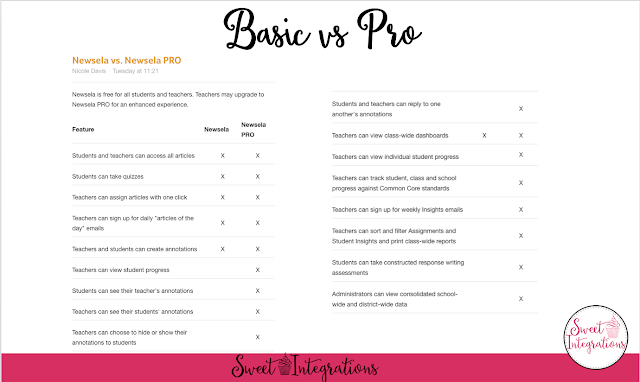 I always recommend using Newsela with project based learning. 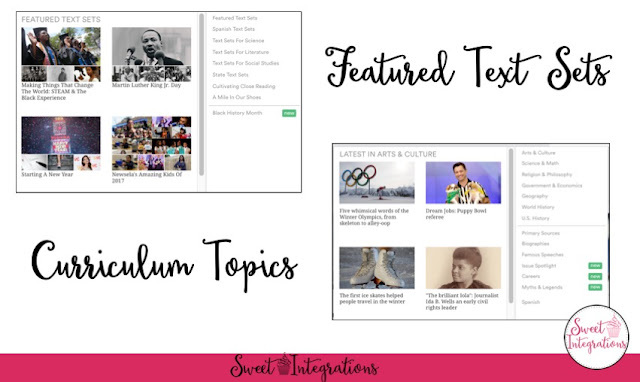 You can assign timely, high-interest articles about the problem or subject and immediately assess your students. It's also important to teach our students media literacy. Newsela has topics on distinguishing between real and fake news. To narrow your search, select the grade level, reading skill, language, and special features. Newsela has added Power Words to the selection. When students click on the power word, a kid-friendly definition pops up. 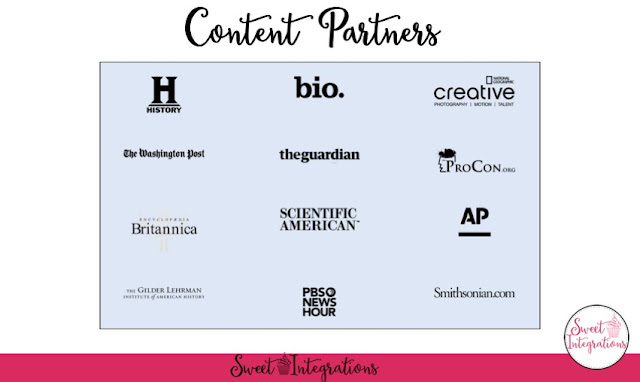 If you want to save and article, just bookmark it. Other features are added to help you make the selection. 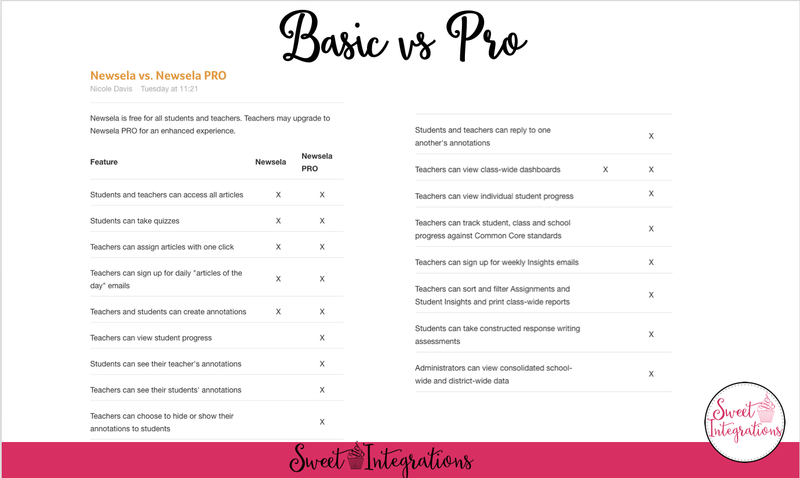 Students are given options when logging into Newsela. Newsela integrates with management systems your schools may use. 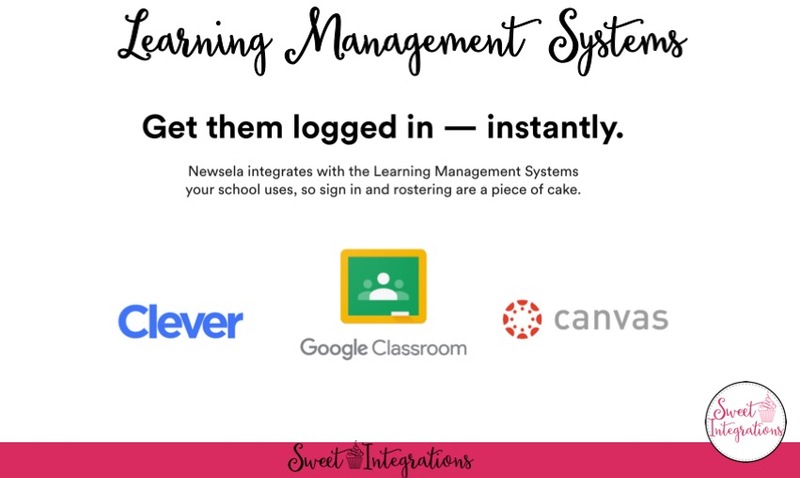 If you have Google Classroom, you import your Google Classrooms into Newsela. Newsela has teamed up with some amazing organizations for their content. 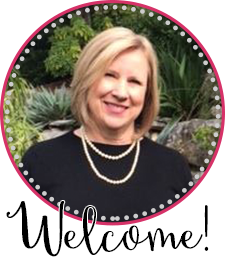 With the emphasis on fake news and media literacy, they are committed to providing up-to-date and accurate information for our students. These are just a few of the contributors. 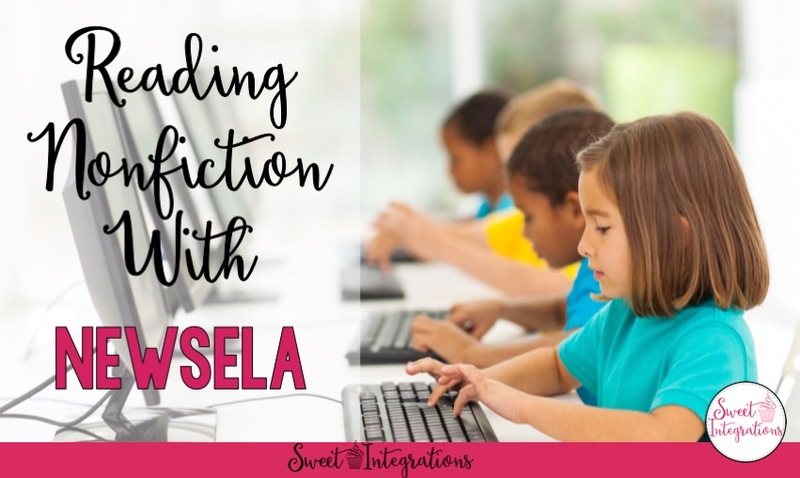 Learn a little more about reading engaging nonfiction text with Newsela by watching this video.